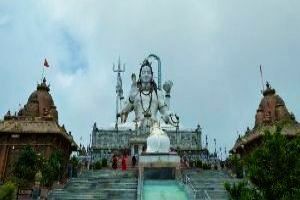 After breakfast will have a sight seeing of Gangtok which include Tashi View Point,Hanuman Tok,Ganesh Tok, Bakhtang Waterfall,Enchey Monastery, Flower Exhibition Centre, Handicraft Centre(Closed On Sunday),Chorten Stupa, Institude Of Tibetology,Rope Way, Rumtek Monastery and lots more. Overnight at Gangtok. After breakfast move towards Pelling which is 115 km from the state capital Gangtok. Pelling is a town in the district of West Sikkim.on the way visit to timi tea garden, samdruptse,and famous Ravangla Buddha park. Pelling is nestled at an altitude of 2,150 m (7,200 feet). 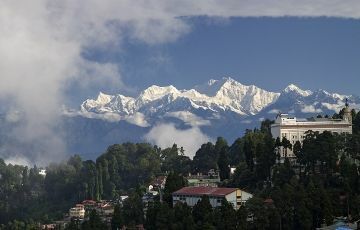 The Himalayas and the Kanchenjanga may be viewed at close quarters from Pelling. The land around Pelling is still a virgin territory and is bathed with alpine vegetation, with numerous waterfalls lining the hillside. In the months of winter, Pelling is sometimes covered with a blanket of snow. Hold at pelling. 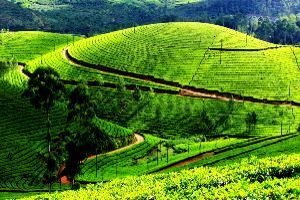 After having breakfast move towards Darjeeling is a beautiful hill town set in West Bengal which is known for its tea plantations. 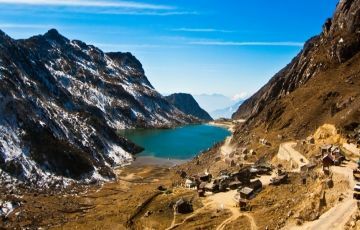 The place makes one experience the most breath-taking views of the Himalayas. After reaching Darjeeling, check-in to the hotel and after fresh up can have a local sight seeing or toy train ride free to roam Darjeeling market in the evening. 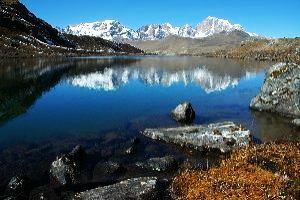 Early Morning at 3:45 am will move towards tiger hill .It is famous for its panoramic view of Mount Everest and MT Kanchenjunga together and early morning sunrise. Later will have a sight seeing which include Ghoom Monastery, Peace memorial & Batasia Loop Padmaja Naidu Zoological Park, Himalayan Mountaineering Institute (Closed on Thursday), Ropeway, Tensing Gumpo Rock, Tibetan Refugee Self Help Centre (Closed on Sunday). 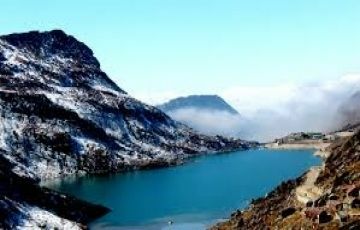 After breakfast move towards Kalimpong, on a ridge overlooking the Teesta River, is a tourist destination owing to its temperate climate, magnificent Himalayan beauty and proximity to popular tourist locations in the region. Horticulture is important to Kalimpong: It has a flower market notable for its wide array of orchids; nurseries, which export Himalayan grown flower bulbs, tubers and rhizomes, contribute to the economy of Kalimpong.later will have a half day seight seeing which includes the famous deolo hill, ) Dr Graham's Homes, Lord Buddha Statue, Sherpa View Point, Durga Mandir, Hanuman Temple, Pineview Nursery etc. TERMS : Any cost arising due to natural calamities like Landslides, Road Blockage, Political disturbances (strikes) etc. (to be borne by the client, which is directly payable on the spot) , Any increase in taxes or fuel price, Leading to increase in cost on surface transportation & land arrangements, which may come into effect prior to departure. Great travel agency!! Great people!! Great tour guides!! Great drivers!! I feel our itinerary was based not only on the experience of our travel agency, but on our experience and requests.